Ten or twelve millennia ago, give or take a few weekends, a great and momentous migration took place. From the temperate rainforests of what is present-day Japan, a group of intrepid travelers set out to find a new land. In dugout canoes that had been painstakingly carved with primitive stone tools they braved the storms and icy waters of the north Pacific and traversed the wild, glaciated coasts of Russia and Alaska. They ended up on the west coast of North America and, although positive proof of their progress from that time on is hazy, the fact that they made the trip is almost undeniable. 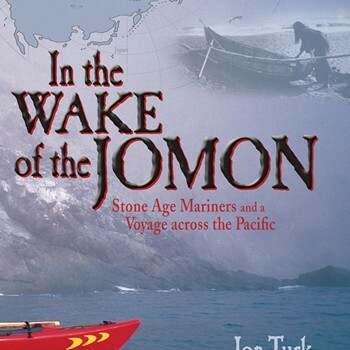 This assertion, that stone-age mariners left what was a relatively comfortable home in order to suffer in the frozen Arctic on their way to a new world, is the premise of In the Wake of the Jomon, Jon Turk’s latest writing venture. It’s a theory that, in spite of much associated research, has not received a lot of airplay. It is an intriguing proposition, however, and what makes it even more interesting is the way that Turk chose to present the possibility that the task of paddling from one side of the world to the other was a reachable human goal before the dawn of recorded history. In 1999 and 2000, Turk and a small group of companions retraced the route that the early mariners would have used, from Japan through the Kurils, along the coast of Kamchatka and over to the Aleutian Islands. This 3000-mile journey has been called “One of the 10 All-Time Greatest Sea Kayak Expeditions,” by Paddler Magazine. His travelogue is a whirl of high anxiety and adventure, a chronicle of a journey through a very big world, in a very small boat. 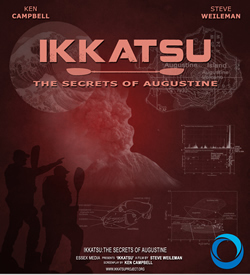 Through it all, through the storms at sea, the psychotic byzantium of Russian bureaucracy, the equipment failures and rough landings, Turk keeps the story of the Jomon close at hand. These prehistoric travelers, he muses, may have set out on their voyages because they were curious, because they wanted to see what lay over the horizon. It is unlikely that they would have left their homeland because of famine or strife, only to go to places where food was far less plentiful and the environment so much more severe. In the long view, the book is a monument to the question in all of us about why we do the things we do. Why take chances? Well, for the rewards those chances hold, of course. 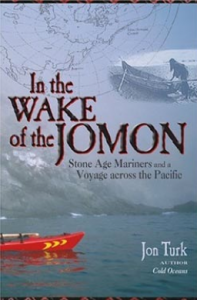 Told in a voice that is at once knowledgeable and open-minded, matter-of-fact and filled with feeling, In the Wake of the Jomon is more than a simple recollection of a kayak journey, and as much a part of history as it is a history book.